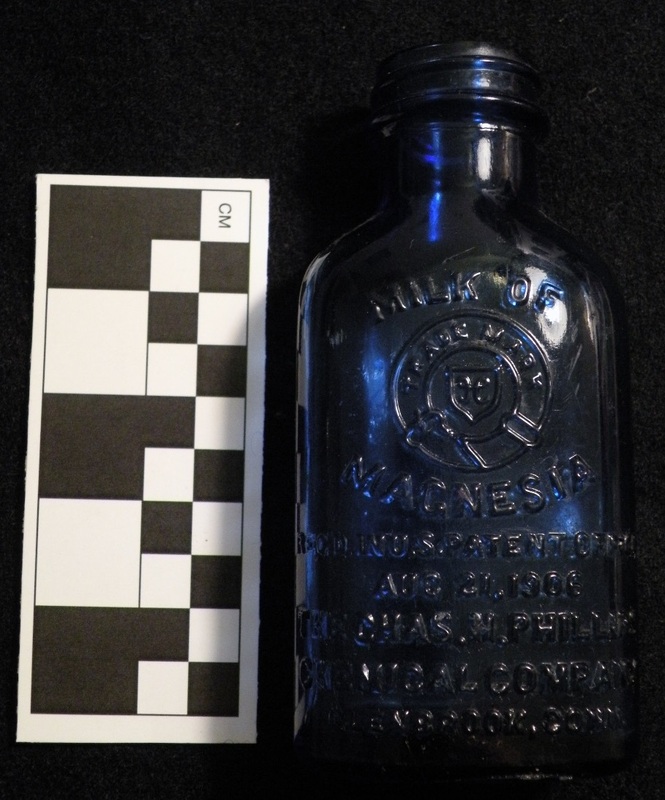 Bottle embossed: “MILK OF MAGNESIA/ REC’D IN U.S PATENT OFFICE/ AUGUST 21, 1906/ THE CHAS. H. PHILLIPS/CHEMICAL COMPANY/ GLENBROOK, CONN. This entry was posted in Uncategorized and tagged Magnesia, Milk of Magnesia, Phillips. Bookmark the permalink. Is the blue bottle worth anything to collectors? Thanks for reading! A quick search of eBay suggests that the iconic blue glass bottles are worth between a few dollars and nearly $30 (with shipping) depending on the condition of the bottle. When searching, click the “sold listing” button on the left side to show the final selling price rather than the asking price. Hello, thanks for reading. I’m afraid I can’t provide you any more details about it, I’m not familiar with the manufacturing processes in Canada.